"I captured this moment after a troup of beach-goers had staked out their spot, set up their chairs, and immediately left to take a walk," said Francine Kunkel. 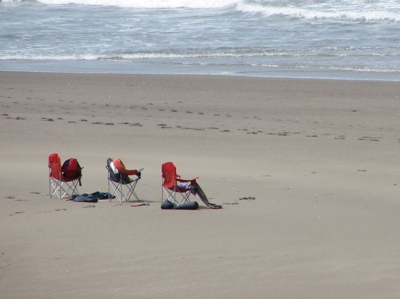 "Left on their own at the empty beach, I thought the chairs truly had a wonderful, peaceful view of the ocean." Francine captured this shot with a Canon Powershot 2 IS, f4 at 1/1000, at a Northern California beach.